The NBA is a business. With it comes business decisions. Just ask Indiana Pacers All-Star guard Victor Oladipo. 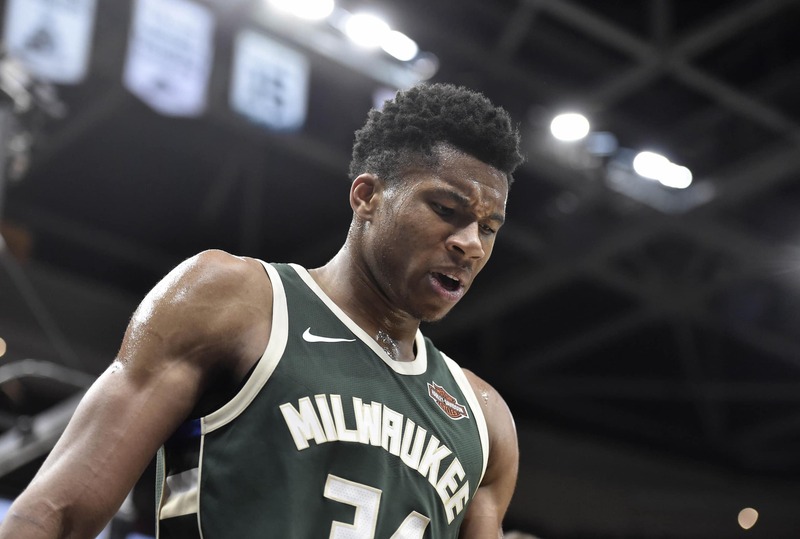 Taking on Giannis Antetokounmpo and the Milwaukee Bucks Wednesday night, Oladipo had a chance to turn away the Greek Freak at the rim. He decided his livelihood was more important. Check out this monster dunk Giannis threw down as Oladipo just stood there and watched. That’s pretty insane stuff right there. And we don’t blame Oladipo at all. A legit MVP candidate this season, Antetokounmpo entered Wednesday’s action averaging 26.5 points and 13.3 rebounds per game. Unfortunately for the Freak and his Bucks, the Pacers are blowing them out big time on Wednesday.